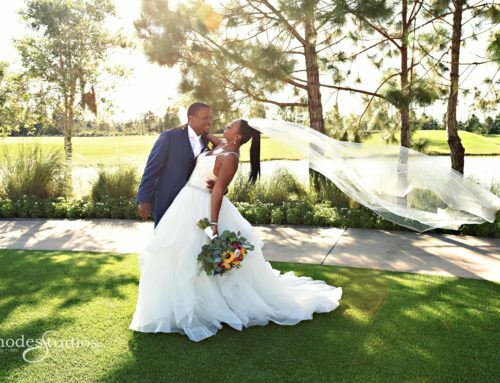 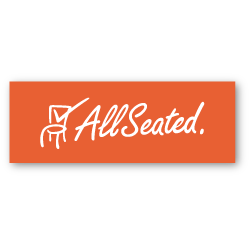 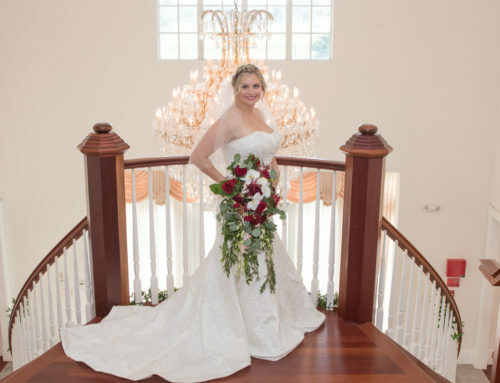 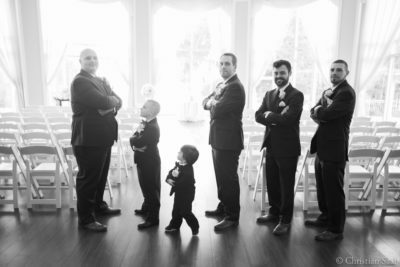 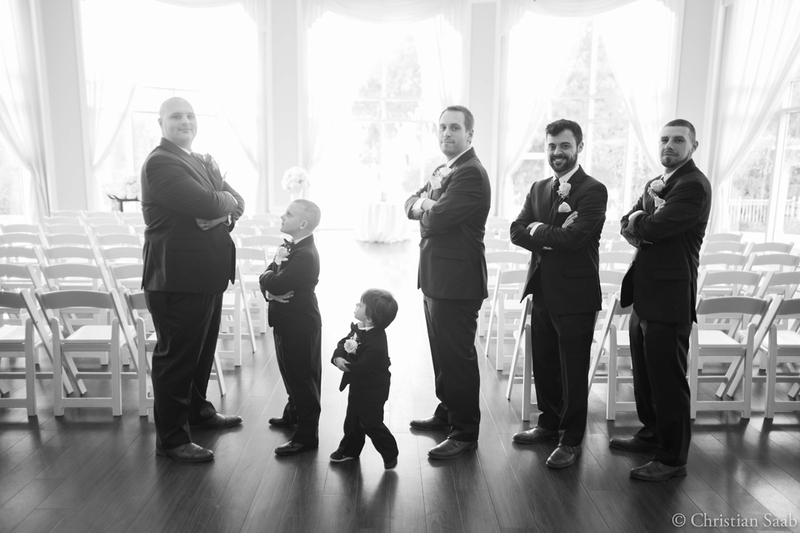 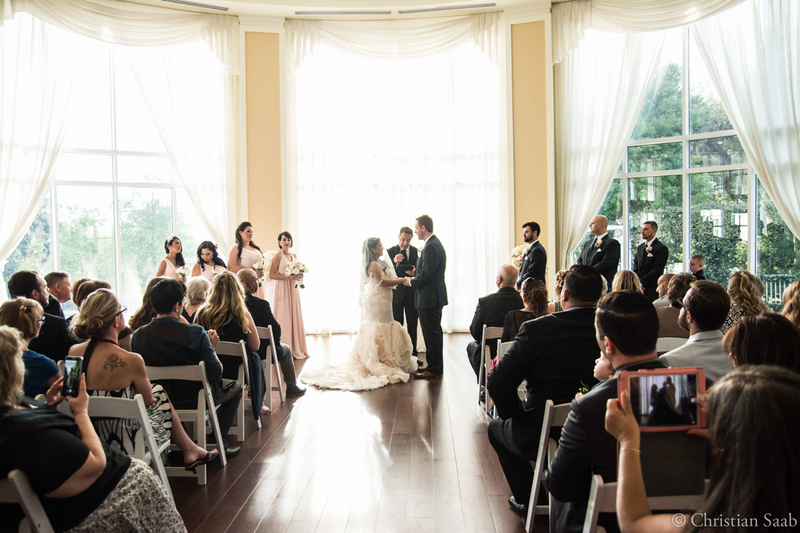 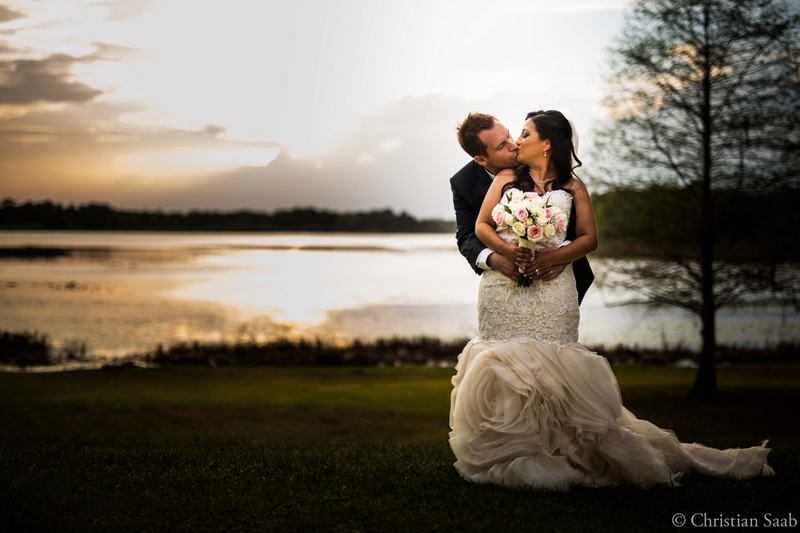 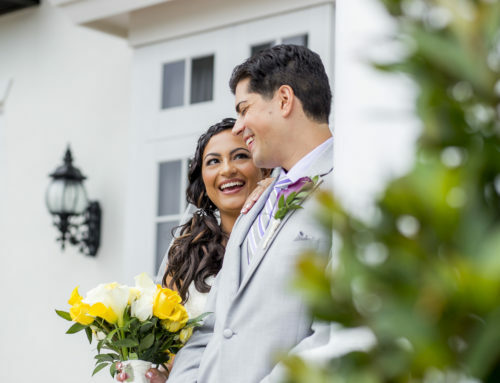 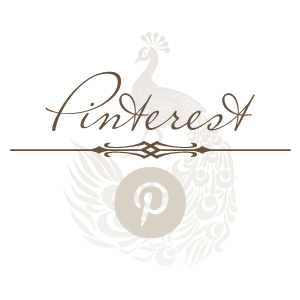 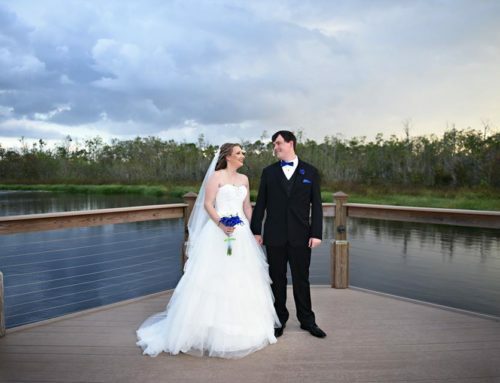 March 24, 2016 was the perfect day at Lake Mary Event Center for Gina & Ryan’s Wedding. 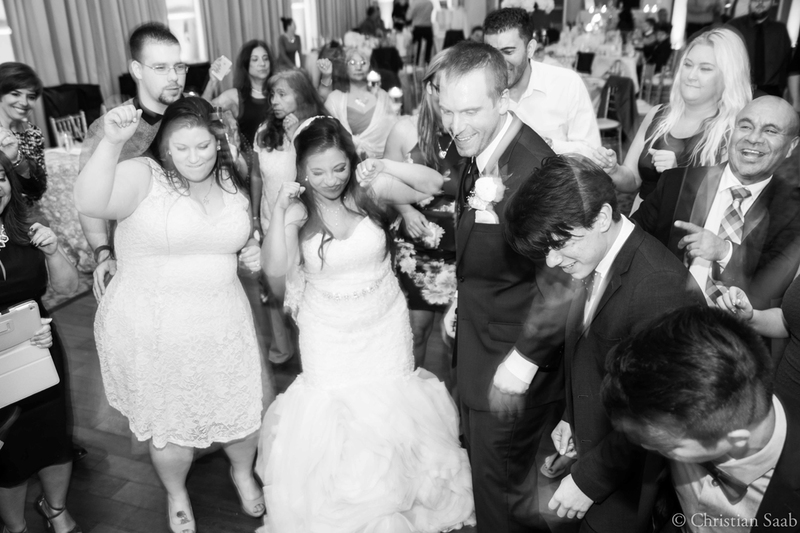 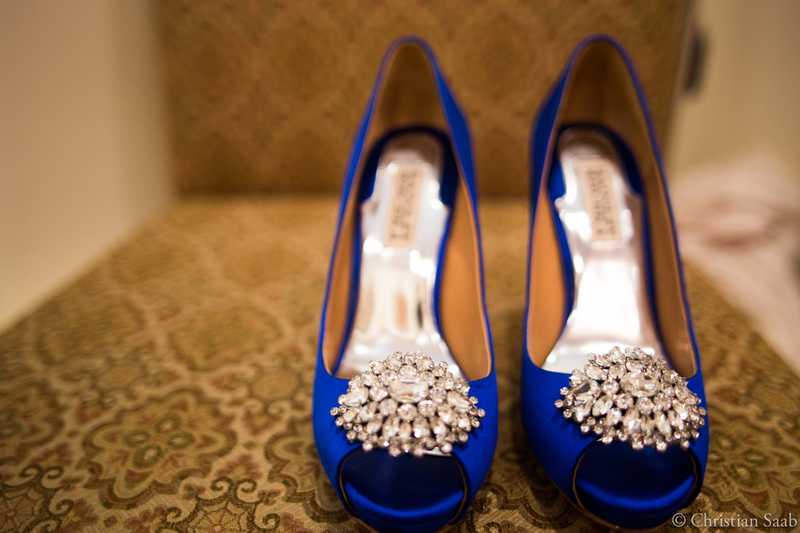 The afternoon was filled with smiles and a few happy tears as Gina made her way down the aisle. 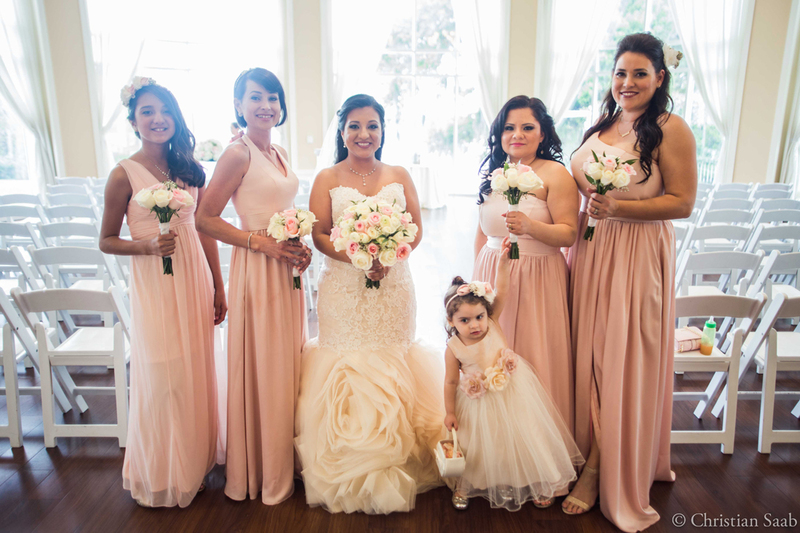 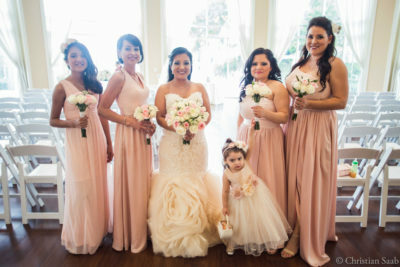 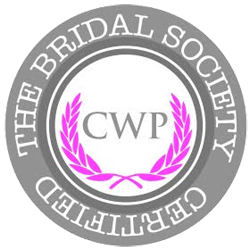 Her bridesmaids were wearing beautiful blush colored dresses each styled a little different to make each unique. 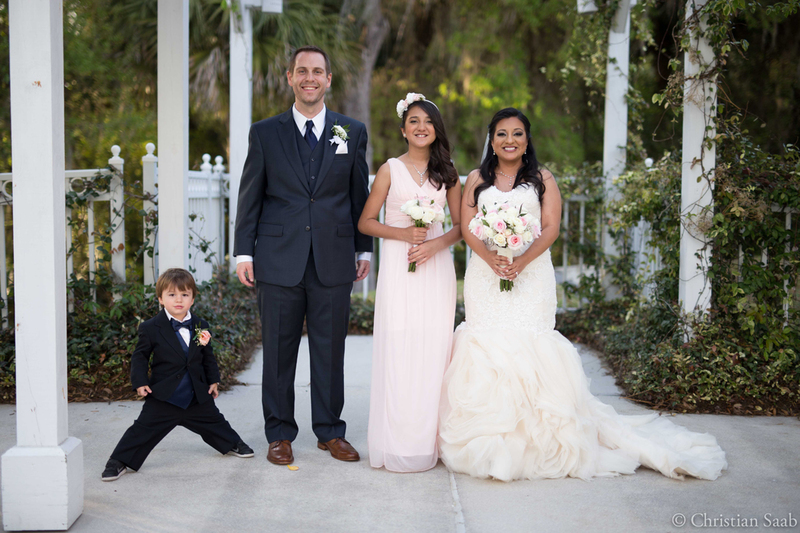 What really made the wedding special were the special guests that were a part of this ceremony; Gina’s daughter was a junior bridesmaid and Gina and Ryan’s son was their ring bearer. It was important to them that they were able to include their children in this special day. After the ceremony there were beautiful pictures taken down by the water as the sun was setting behind them. Right before the guests entered the room, the couple saw the room. Gina was beaming from ear to ear, “it was so much better than I dreamed it would be”. 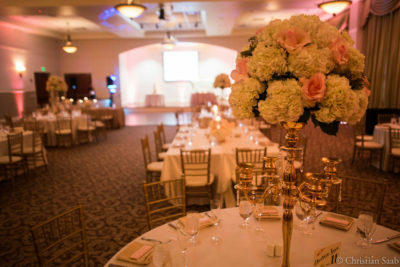 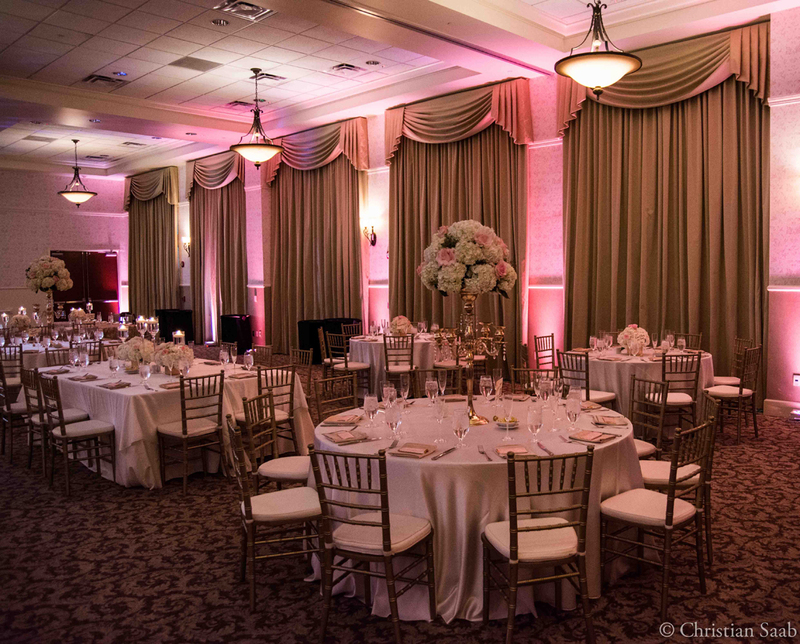 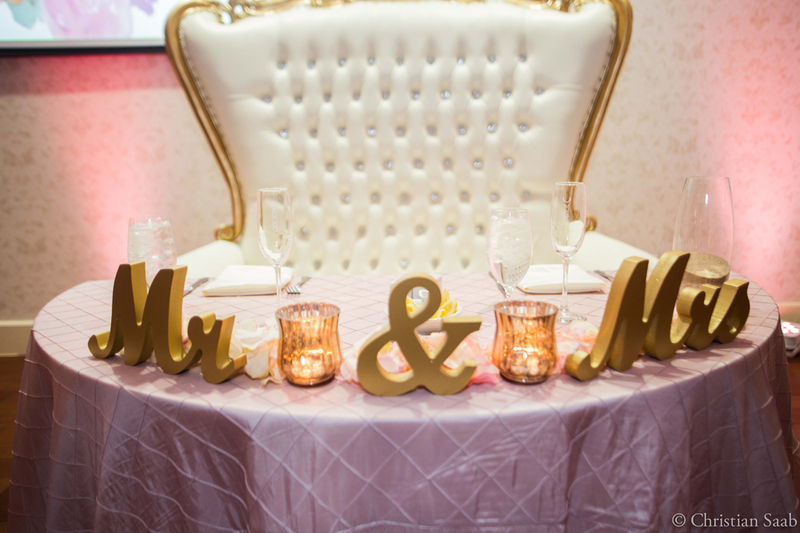 The fun yet romantic feel that continued to the reception later that night was conveyed through the pink up lighting and the pink and gold accents around the room. 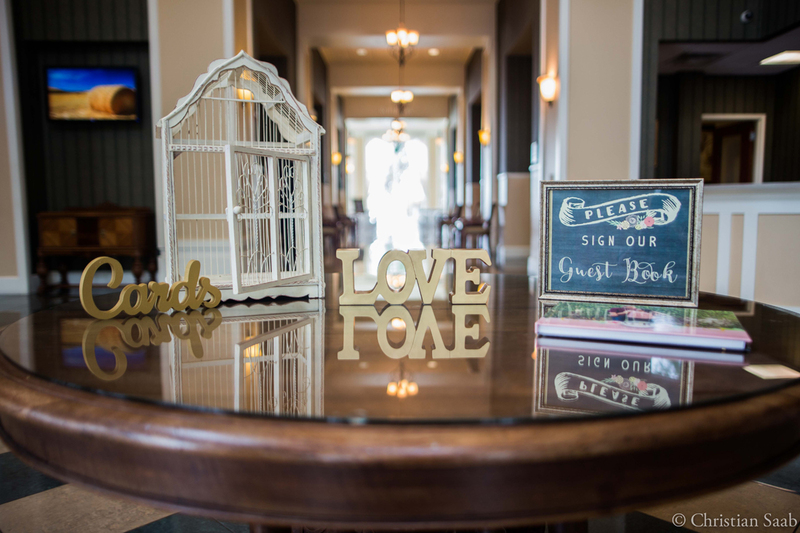 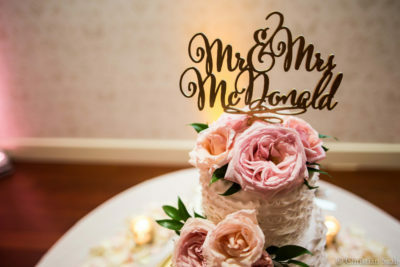 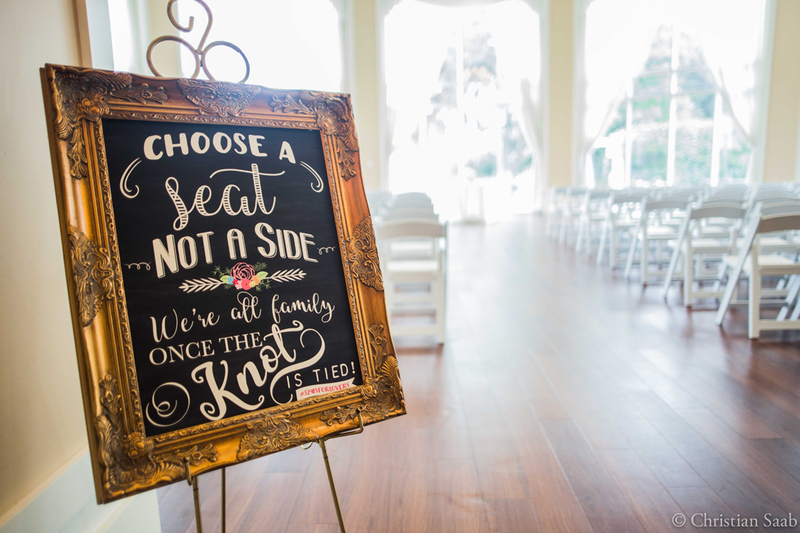 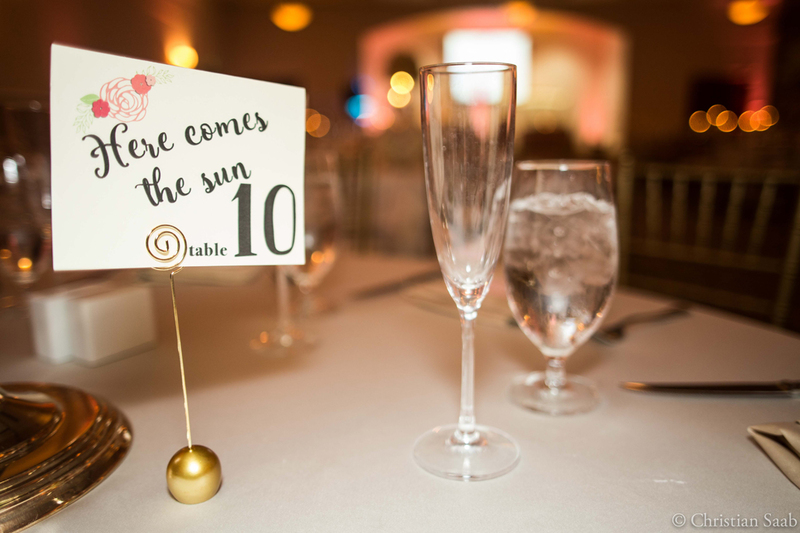 All of the signs that were found around the room were actually designed and personalized by her niece to make the room shine just that much more. There were a few special toasts that were made before the fun really began and everyone was able to dance the night away. Following some fun dances there was the bouquet and garter toss which is always a crowd favorite but let’s not forget the cake cutting. 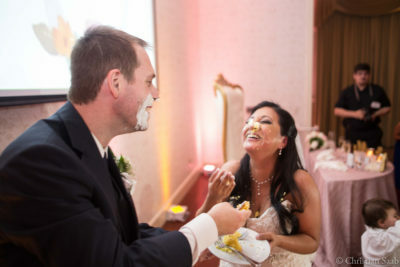 These two love birds had a blast smashing cake into the others face when the time came. 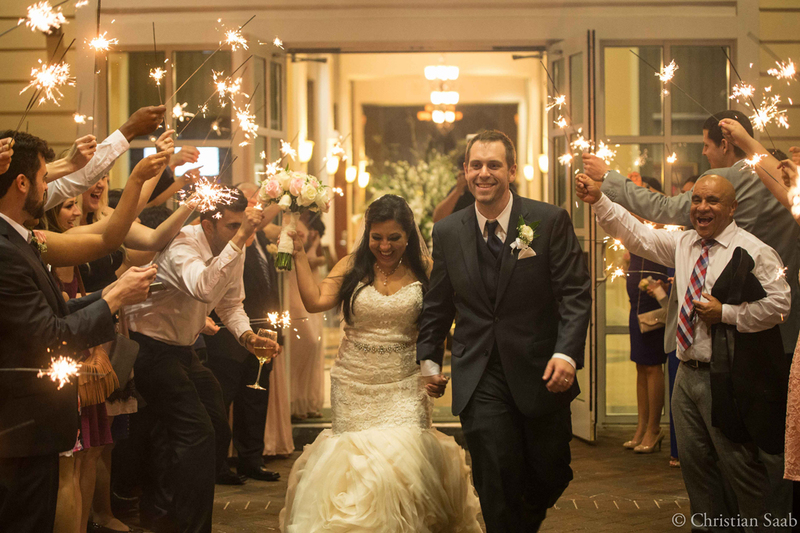 Their last dance was “I Believe in a Thing Called Love, The Darkness” which was the perfect way to end the night before everyone gathered outside for the amazing sparkler exit. The exit was definitely one to remember as they made their way through the glow of all their family and friends and off into the night as a beautiful married couple. 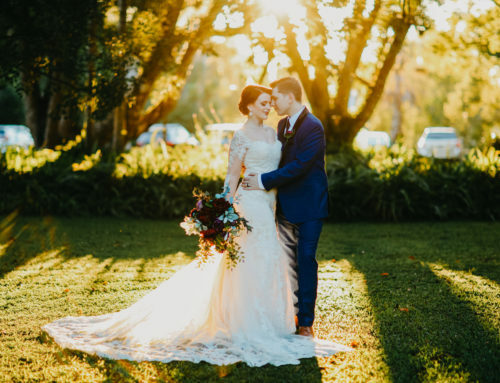 We are so happy for these two!